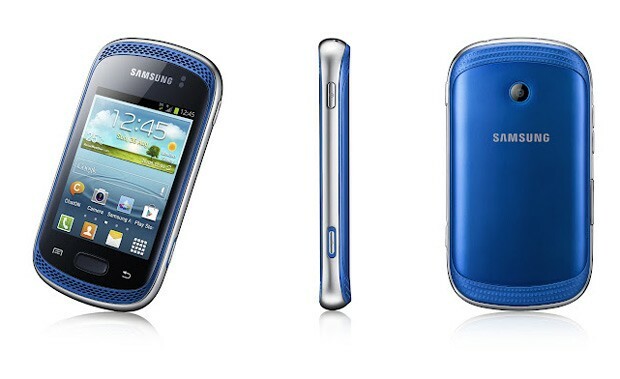 In line from we have reported, Samsung officially announces the Galaxy Music - a budget phone for music-lovers. As the name suggests its functionality, the Galaxy Music rocks a superb sound quality in 3-inch screen. Coming out of the box with Android 4.0, this device will have a 4GB internal memory and 512 MB of RAM. Likewise, you can always expand your memory up to 32 GB via microSD. Processor speed is not clear yet, other specs, however covers WiFi b/g/n, WiFi Direct, Bluetooth 3.0 and microUSB port. Being a music-centered device itself, it’ll be packed with dual-frontal stereo speakers, Sound Alive, SRS and Smart Volume. Pricing and availability in the Philippines are still to come from Samsung PH.